Old-timers tell the story of a New Mexico homesteader who was making a little moonshine on his ranch during the days of prohibition. Making this illegal liquor takes sugar, but the government kept a close eye on folks buying sugar in large amounts. The rancher came up with the clever plan. His wife made and sold fudge as a front for his moonshine production. Local patrons came to get candy over the counter and “candy” under the counter. Soon, the homestead became known as “The Candy Kitchen” and the name stuck. Nearly 60 years later, fine artist Jacque Evans purchased the abandoned ranch to be her home. 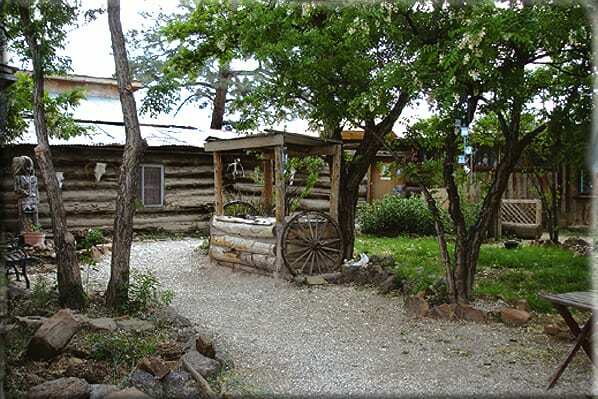 Today, Candy Kitchen, New Mexico is a small mountain community that is home to over 300 residents and over 60 wolves, wolf-dogs and other rescued canines. 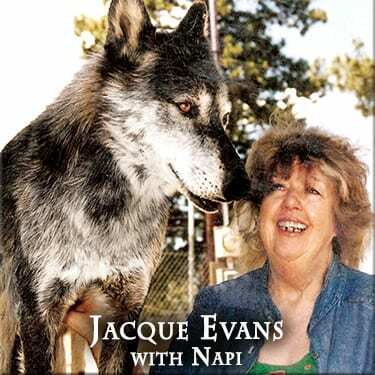 OUR FOUNDER ~ The late Jacque Evans was a talented artist who also had a great love for wolves and wolf-dogs. Over time, she became aware of the increasing number of these unwanted animals and their unique needs. She realized her land could become a refuge, so she opened her life and home to the animals. In 1991, Jacque founded “The Candy Kitchen Wolf and Wolf-dog Rescue Ranch” and supported her canine rescues by selling her stunning paintings. News of Jacque’s devotion to her rescues quickly spread, and soon her rescue ranch began to expand. 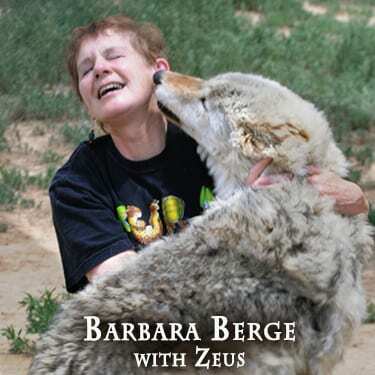 OUR CO-FOUNDER ~ Barbara Berge was rescuing wolf-dogs in Albuquerque when she met Jacque in June of 1992. At that time, Jacque and Barbara found themselves involved in a common rescue of a wolf-dog named Sable. Realizing they shared a dream of starting a wolf-dog rescue and saving even more lives, Barbara moved to Candy Kitchen in 1993. Over ten years, Barbara worked tirelessly to help Jacque transform her budding rescue into a fully operational non-profit organization. Barbara retired in 2003 when she knew she could leave her labor of love in good hands. OUR EXECUTIVE DIRECTOR ~ In October 2003, Barbara and Jacque were ready for retirement. 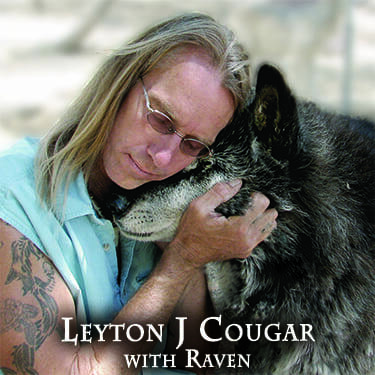 The Education Director, Leyton Cougar, was the perfect choice to take over the position of Executive Director. Under his leadership, Candy Kitchen Rescue began the transformation into Wild Spirit Wolf Sanctuary. Thanks to Leyton’s vision, charisma, and dedication, WSWS has evolved into an internationally renowned sanctuary. We’ve expanded to provide sanctuary to many different canids, including wolves, wolf-dogs, coyotes, New Guinea singing dogs, Australian dingoes, and foxes.